America is traditionally thought of as being a young country, missing the rich depth of history that China and Europe (for example) can boast, but this is not to say that the vast country is entirely lacking as regards ‘a past’. 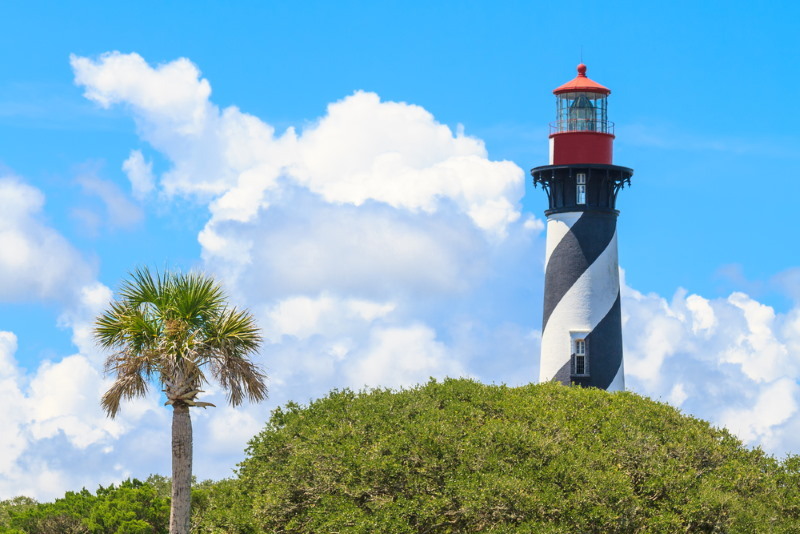 Indeed, the USA has developed so very quickly on the backs of people full of passion and a sense of certitude as to their actions, that there is no shortage of tales about almost every populated inch of the country – and there are probably some about the unpopulated areas too! It is unsurprising that most of these ‘most haunted’ places are those with a violent and often bloody past: from prisons to battlegrounds to slave plantations, the tormented souls of those who died before their time have left their imprint on the very ground upon which they died… But there are some surprises too, with hotels and theatres counting among the top ten most haunted places in the USA. Properly known as West Virginia State Penitentiary, Moundsville operated from 1876 to 1995, with the inmates being housed in a grim, gothic building that is instantly reminiscent of a forbidding castle. 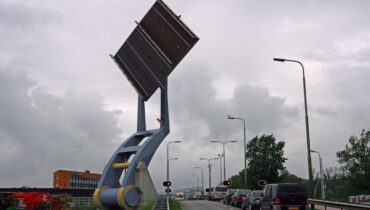 So unique and striking is the building that it has frequently been used in films, television shows and even video games. 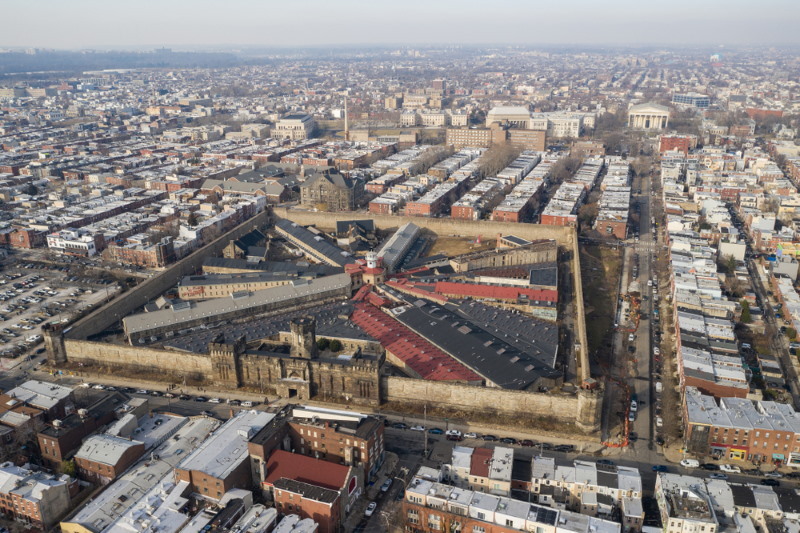 Even while the prison was still operational, guards reported seeing shadowy inmates roaming the halls and unexplained sounds and cold spots have been experienced throughout the building. The former prison is now a tourist attraction and training facility. A theatre is one of the more unlikely places to expect to find a ghost, as little in the way of torment, torture or death usually occurs in such a place (Ford’s Theatre in Washington a notable exception, with not only the first president to be assassinated sometimes gracing visitors with his spectral presence, but also the spirits of his murderer and some 20-odd clerks who were killed in the building many years later having been seen from time to time. The building, now home to a museum dedicated to Abraham Lincoln, is also where Mary Todd Lincoln is said to be seen and heard, leaning over the balcony and crying out ‘He has shot the president.’) Lincoln Theatre in Illinois does not have an illustrious a past as the Ford Theatre, but before the Lincoln Theatre was erected the site was home to The Priest Hotel from 1880. Fires ravaged the premises in 1904 and again in 1915, destroying the structure each time. After the second fire, the Lincoln Theatre was built, and all but one of the ghosts haunting the building are said to be the souls of those who perished in the second fire. The exception is the ghost of a man known as Red, who died peacefully in the theatre, having been contentedly employed there as a stage hand behind the scenes. Generally, the ghosts at the theatre are calm and peaceful, seemingly content to while away eternity watching the performance and, of late, the restoration efforts ongoing in the building! Eastern State Penitentiary, coincidentally sometimes known by its initials, ESP, was built in 1829 and was originally known as Cherry Hill. The prison was designed with Godliness and repentance in mind (on behalf of the prisoners, of course!) and the system meant that each prisoner was confined alone for much of the time. While this seemed like a sensible way to keep the prisoners from learning each other’s crimes, it was, in fact, a terrible idea, encouraging depression and mental illness amongst the population. By 1913, prisons were so overcrowded that it was no longer feasible to keep prisoners apart and the solitary confinement policy was dropped. Even while the prison was still in use (it is now something of a tourist attraction, running an annual Halloween scare-fest called Terror Within the Walls!) there were multiple reports of ghost sightings and hauntings. One of the more famous inmates, none other than Al Capone himself, reporting seeing supernatural phenomena: as did many other inmates and some of the officers too! Since the prison closed in 1971, reports of sightings have actually increased and the Atlantic Paranormal Society, who conducted an investigation in the prison in 2004, has released a piece of footage of a ghost captured by their cameras. Waverly Hills, from the outside, is enough to strike fear into the hearts of anyone unwise enough to approach the building, even before you discover that it was the final residence of over 6,000 people over the century or so for which it was in operation (some urban legends claim this figure to be 12 times higher, at 63,000, but records show that the highest possible number of deaths is around the 8,000 mark). The forbidding façade, threateningly encroaching or coldly repudiating, depending on your angle of approach, looms over newcomers, seeming to warn against further exploration! 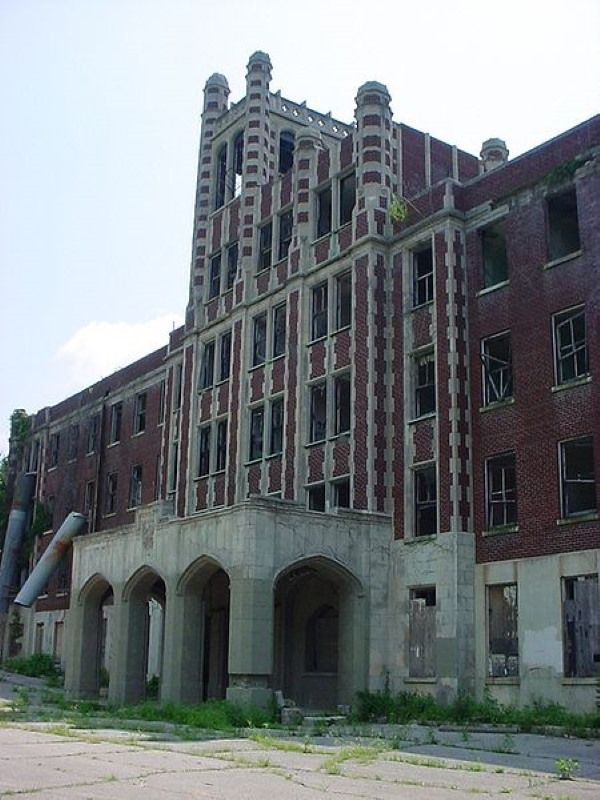 Initially built to help contain and control the spread of tuberculosis as much as to treat the sufferers of the pernicious disease, Waverly Hills finished its days as an old age home, one that was shut down in ignominy when accusations of patient abuse and neglect were levelled against the staff of the establishment. 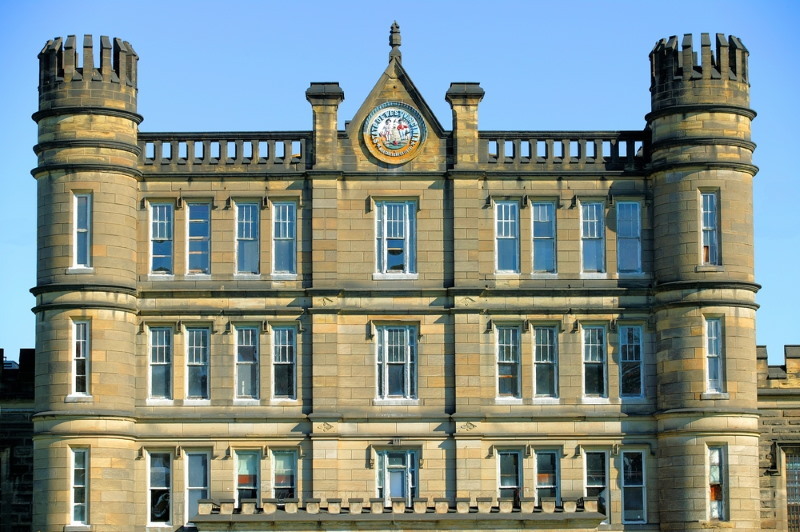 Between 1926 and 1943 (when a true cure for TB was discovered) the imposing building could hold up to 400 patients at any one time. Before the cure (streptomycin) was discovered there was a very high death rate, with at least one occurring each day at the peak of the epidemic. To prevent the surviving patients becoming upset at seeing the steady progression of corpses leaving the building a tunnel, originally constructed to allow workers and delivery services to access the building without having to climb a steep and potentially dangerous hill, was pressed into service as a discreet egress. Amongst the ‘known’ ghosts are a nurse, who pregnant and unmarried and having contracted tuberculosis, hung herself in despair, a woman who roams the halls, showing unwary visitors her slashed wrists and crying out for help and a small boy who appears in a surprising number of reports and anecdotes – as well as some video footage and photographs! Stephen King fans will instantly recognise this attractive and imposing hotel, as it stands magnificently showcased by the Rockies that loom behind it. The horror author stayed at the hotel and was inspired to write a book about a malevolent force occupying a hotel high in the mountains: bestseller The Shining. While the movie was not filmed here (although the television series was), and nor was the book written in the hotel itself, King borrowed heavily from the décor and layout of the hotel and the room in which he stayed, room 217, was the scene of a near fatal accident in 1911, when housekeeper Elizabeth Wilson was almost killed in a gas explosion. After her death in the 1950s the room became known as a place where unusual happenings took place, with doors opening and closing and lights switching themselves on and off. There are many children haunting the hotel, especially in the ‘most haunted’ room; 418, where children laughing and playing can be heard in the hallways at night. Stephen King apparently saw one frequently noticed ghost, that of a little boy calling out for his nanny. Today the resort hotel is a favourite with ghost hunters who are even offered a ghost tour as part of the amenities! 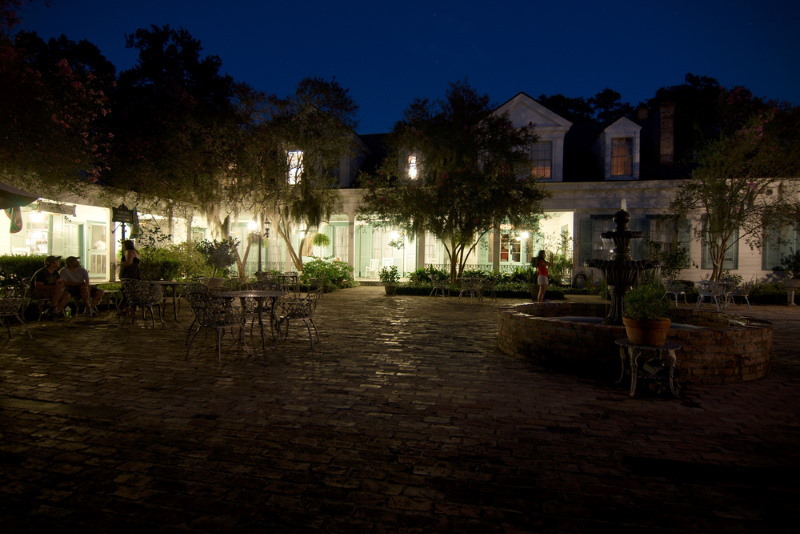 Built in 1796, Myrtles Plantation was an immense estate, serviced primarily with slave labour. Tragedy struck the Woodruff family when a slave, desperate to regain the trust and favour of the family poisoned and accidentally killed two of the three children and the lady of the house. The slave, Chloe, had been demoted to the kitchen after being caught eavesdropping on private family matters. She had also had an ear cut off to remind her not to listen in again. In an attempt to appear to be a hero to the family Chloe slipped some oleander leaves into a cake that she as baking for the family’s consumption. (Oleander is an attractive small shrub with beautiful flowers. Every part of it is highly toxic, from the roots to the leaves and including the flowers.) Her plan was to administer first aid to the children as they fell ill, and thus regain her higher ‘upstairs’ status. Sadly, her plan failed and she was found out. Chloe was hanged in front of the house and her body weighted and disposed of in the river. Another murder also took place on the grounds, with William Drew Winter, the estate manager, being fatally shot by a stranger, as he stood on the wide veranda. He staggered inside and began to make his way up the stairs, possibly in search of succour, but died on the seventeenth step. Today visitors claim to hear his faltering footsteps on the staircase, and Chloe has been sighted, wearing the distinctive green turban that she affected to hide her mutilated ear. In those days, mirrors were covered after a death, but one particular mirror was overlooked and the souls of the lady of the house and her two children were trapped in the mirror for all time. They occasionally leave handprints in the glass or allow visitors to catch glimpses of them. The Bell Witch is something of a character in Tennessee, with her legend even being taught in schools in the area. The Bell family settled in Tennessee in 1804, living peacefully and increasingly prosperously for some thirteen years. In 1817, the family fell victim to the Bell Witch, reported to be the unearthly essence of a neighbour, one Kate Batts. Why Ms Batts took against the Bell family has never been satisfactorily explained, but set against them she was, with two clear purposes in mind: to kill the patriarch, John Bell Snr and to prevent the marriage of his daughter, Elizabeth Bell, known as Betsy, to another neighbour, Joshua Gardner. 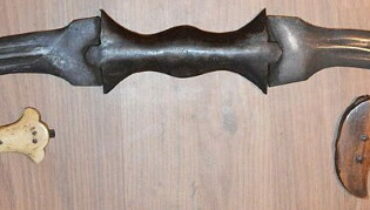 The two Bells, John and Betsy, bore the brunt of the witches attacks, suffering scratches, pin sticks and other torments. John eventually succumbed, dying in September 1820, with many firmly believing that Kate Batts was responsible for his death, a fact that she apparently affirmed proudly. Shortly afterwards, in the March of the following year, Betsy, perhaps wisely, broke off her engagement, at which point Kate departed, promising to return within seven years. In 1828, she did return, engaging in long chats with John Bell Jnr about his past and future, before departing once more, this time for, she said, one hundred and seven years (this would have been 1935, but she did not manifest at that time to anyone’s knowledge). There was a cave on the Bell’s property and the witch became associated with this cavern in the following way: Betsy Bell and some of her friends explored the cave one day (it is not certain which year this was, but the tale suggests that they were all still fairly young children at the time). One of the boys in the group wriggled into too tight a space and became firmly wedged. A voice suddenly cried out, ‘I’ll get him out!’ The boy felt hands gripping his ankles and he was pulled out of his constriction. The voice, still disembodied, then gave the children something of a lecture on staying safe. 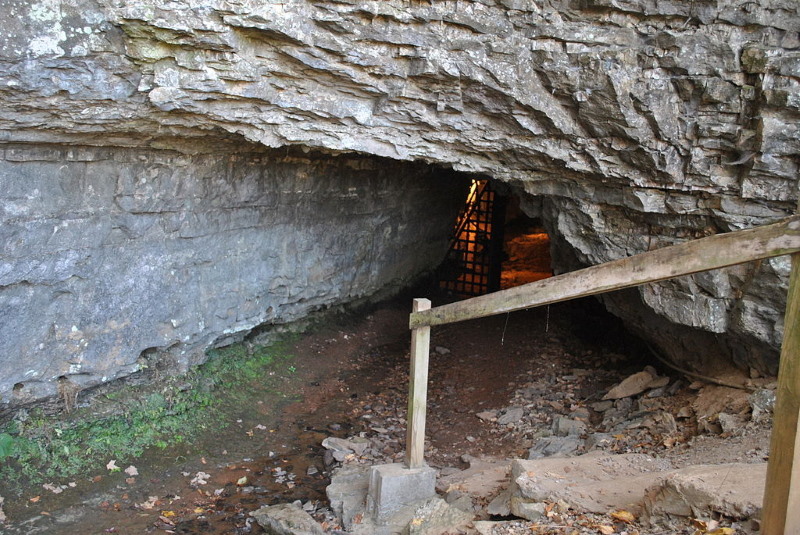 Because of this tale, it came to be accepted that the Bell Witch spent her dormant periods (i.e., when she was not tormenting the Bells) in the cave, which is now something of a tourist attraction. The battle at Gettysburg was a horrifically bloody and deadly one in anyone’s estimation. Over 8,000 soldiers died and tens of thousands more were injured, all of them Americans, young and proud to be serving their country. The intensity of the loss of life that flowed on that day has left a lasting legacy with Americans, and, some say, many of the fallen soldiers have stayed there too. There is a wealth of footage on the Internet featuring indistinct human shapes (although some of these have been debunked) and such is our anxiety to believe that these video clips have ‘views’ numbering in the hundreds of thousands and even millions! Anecdotal reports claim that ghostly soldiers still continue their battle today; with the sounds of battle being heard along with glimpses of furious combat that fades away when approached too closely. 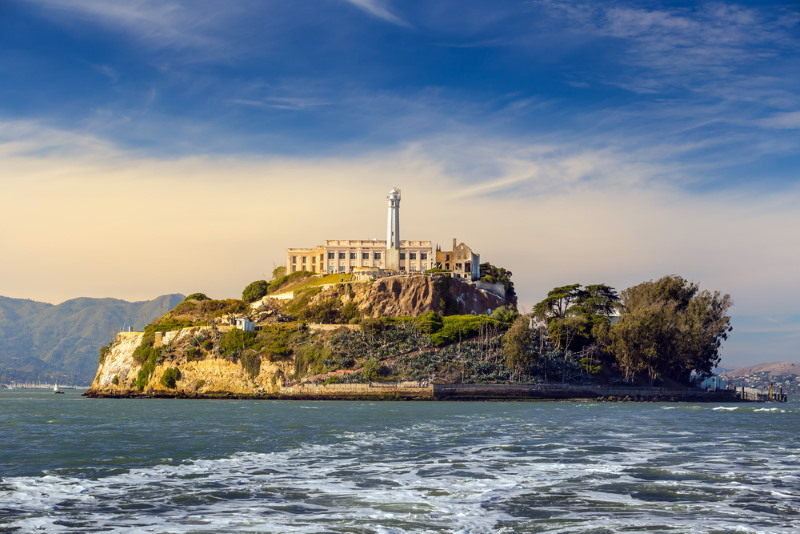 For anyone that has heard of the state, California conjures up images of sun, surf and golden boys and girls, not thoughts of deprivation, outright cruelty and a harsh penal system – but the words Alcatraz Prison calls up precisely those images! The prison is found on the small rocky island, also called Alcatraz, and often nicknamed The Rock, but the massive jail was not the only use to which the island was put. The island has held, at various points in history, a lighthouse (currently the oldest operating lighthouse on the western seaboard of the USA), a military fortification and a military prison before Alcatraz Federal Penitentiary was constructed. Visitors to the island today can visit all of these features, as well as a bird colony (mainly for egrets, cormorants and Western gulls) and a range of attractive and interesting rock pools. Alcatraz quickly gained a reputation as being a tough prison, a place for prisoners who made trouble at other institutions. In fact, no-one could be sent directly to Alcatraz; they had to ‘earn’ their place by acting up at other prisons first. As a result, the Alcatraz guards needed to be wary and alert at all times. The prisoners were counted no less than thirteen times a day and the gates, bars and doors were constantly checked to ensure that they would not fail and allow these dangerous men to escape. (There were no women incarcerated at Alcatraz, and no female guards or administrators. Some prisoners could go decades without hearing a woman’s voice. Occasionally, prisoners may have caught a glimpse of a guard’s wife or daughter if the guard had his family living on the island with him…) With all that pent up aggression and angst, along with the many prisoners who died in their cells, it is no wonder that Alcatraz has something of a name for being haunted, but the island’s reputation was established before the prison was ever built. Native Americans shunned the island fearing it to be filled with ‘evil spirits’ and Mark Twain, the creator of Huckleberry Finn and Tom Sawyer, felt the island to be an eerie and always cold place, even in the height of summer… Much of the paranormal activity is based around Cell 14-D, aka The Hole, where prisoners could be confined for long periods of time, deprived of food, sleep and warmth. The cell is reputed to be considerably colder than the other cells at all times of day. Guards, prisoners and even modern-day visitors have all reported experiencing phenomena in the building, from floating lights and clanking chains to screams, moans and unearthly footsteps, all reinforcing the idea that Alcatraz is one of the most haunted places in the world.